Batchelor’s 2010 work is an autobiographical work composed of two parts which recounted his Buddhist experience as a monk and a layman. In this work, as with his previous work Buddhism Without Beliefs, has raised a lot of contentious issues especially amongst Western Buddhists. Essentially, labeling himself as a “Buddhist failure”, Batchelor expressed his great disillusionment against the institutionalism of Tibetan and Zen Buddhism which he devoted decades of his life practicing. As many reviews have been written on this work already, I will try not to repeat what others have said, either in praise or in blame, except that the work was indeed brilliantly written with many audacious comments and fine insights that will be worth the time of any serious Buddhist practitioner, regardless of school or background. My main interest in this work is largely personal as I am keen to see whether his observations would apply to someone without his Western background like myself or others not in the “West”. To fully appreciate Batchelor’s overwhelmingly negative stance toward certain aspects of institutionalized Buddhism, one should be aware of the history as well as current position of Buddhism in the West. Even before Nietzsche’s declaration “Gott ist tot” (God is dead), Western society had undergone a long process of secularization that led to a new alternative worldview stemming from the Renaissance, the Reformation, and Darwin’s work on evolution. But it was in the 20th century after the two World Wars when the “society” at large lost faith in Christianity. The churches had lost trust and respect from the public. Those who felt disillusioned by the religious institutes found themselves other forms of beliefs – New Age, Eastern religions or simply no beliefs. The various forms of Buddhism which spread to the West, most notably Tibetan Buddhism and Japanese Zen, were merely some of the many alternatives available in the postmodern age of spiritual consumerism. Thus as Batchelor himself described in great details at the beginning part of the book, he turned from hippie to monk in an age when anything alternative was in vogue. But Batchelor was not just a simple rebel, he was genuinely asking for answers to those big questions about life, which both Tibetan and Zen Buddhism failed to give; instead, to his dismay he found the religious institution plagued by dogma and rituals of very dubious nature. At the end, Batchelor found it necessary to construct his own understanding of what Buddha’s true teaching was based on his reading of the Pāli Canon. One observation on “disillusionment” should be made. Disillusionment results when we have expectations; when our expectations are not met, we feel disillusioned. In Batchelor’s case, what was he expecting when he decided to shave his head and dress in exotic robe which made him feel like “the visual equivalent of screaming”? His decisions from taking the ordination to disrobing must be equally driven his religious conviction and his pursuit for truth. But what remained unclear to me is what he expected from the “institutions” and personally I feel that his disillusionment cannot be fully justified unless this issue is sufficiently clarified. Perhaps after all he was looking for the wrong thing, and possibly in the wrong place (though not necessarily with the wrong outcome)? Just as Batchelor had attempted to interpret the Buddha’s teaching from the cultural and societal context of Buddha’s time, one may understand the teachings of the various schools contextually. Unless we do so, Batchelor’s work leaves us the impression that the millions of Buddhists who belong to various institutionalized forms of Buddhism are utterly unenlightened, ensnared in meaningless rituals and dogma with no chance of salvation. My personal view of the role of religion is honestly quite different. Rather than seeing any Buddhist school, or for that matter, any religion, as something monolithic, I see religious intuitions as transient groups who strive for different religious goals. Within each group there are members who are closer to the goals they set for themselves; while others may be further away and could even be going the opposite way. Religious institutions are amoebic in nature and they take on different shapes in response to both external and internal needs, ultimately with the goal of preserving their own survival. Bearing this in mind, one should not have too high an expectation of the religious institutions or any groups that are involved with people in general, but should rather approach them in a more skillful and gentle way. Of course, what I just described does not translate well in Western terms since religious matters have too often been clear-cut, black-and-white and confrontational in much of Western history. In the case of traditional Chinese society, religious values have never been so clearly defined – thus often accused for being indecisive and vague by the West. However, such misjudgment of Eastern spiritual values would resolve itself if one consider religions as merely sources where one may find inspiration and opportunities for positive transformation. Joining a religion is not pledging allegiance to a force but, rather, embarking on a journey of self-cultivation. Not only is it an ongoing process, but one needs to adapt existing religious values to oneself and respond to them accordingly. In Batchelor’s case, the values supplied by Tibetan and Zen Buddhism were clearly incompatible to his own, such as his negative view on celibacy in the modern context. But for others who do not see Buddhism as a foreign religion or seek Enlightenment through exotic means, some of the apparently anachronistic values of institutionalized Buddhism may in fact represent some of the best and most inspiring values their adopted cultures can offer to the people. During my earlier years, I used to be affected by a certain view to see Chinese Buddhism as a form of corrupted Buddhism; as I grow older, I begin to appreciate its gentler approach, striving constantly to harmonize and balance between discipline and personal freedom, tradition and creativity. Perhaps Chinese Buddhism evolved in such a way to cater to the needs of Chinese society. The question of dogma and rituals never generated much heated debates amongst Chinese Buddhists as no Chinese Buddhists have ever been coerced to subscribe to them. Dogma and rituals which lost their meanings and appeal were continuously let go of which accounted for the ongoing transformation of Chinese Buddhism. 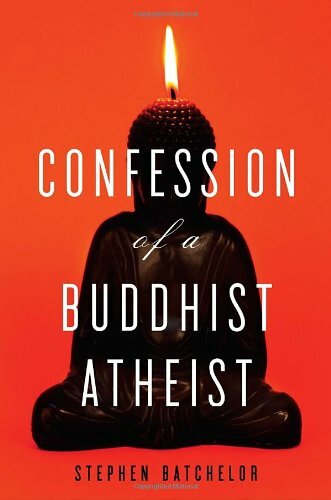 Perhaps for the same reason, the idea of a Buddhist atheist never strikes me as an imperative nor a necessary premise for a Buddhist of the modern age.